Are you ready to make your children squeal with delight? Are you ready to thrill your unicorn obsessed friends? 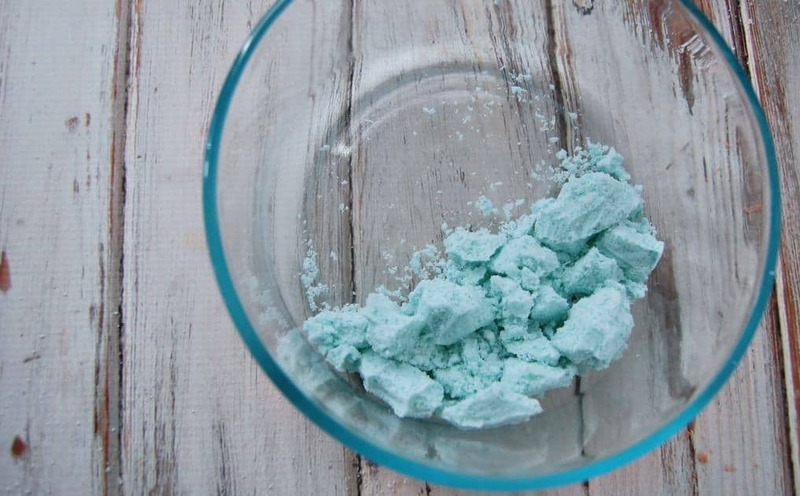 Check out this DIY fizzy bath dust aka…. 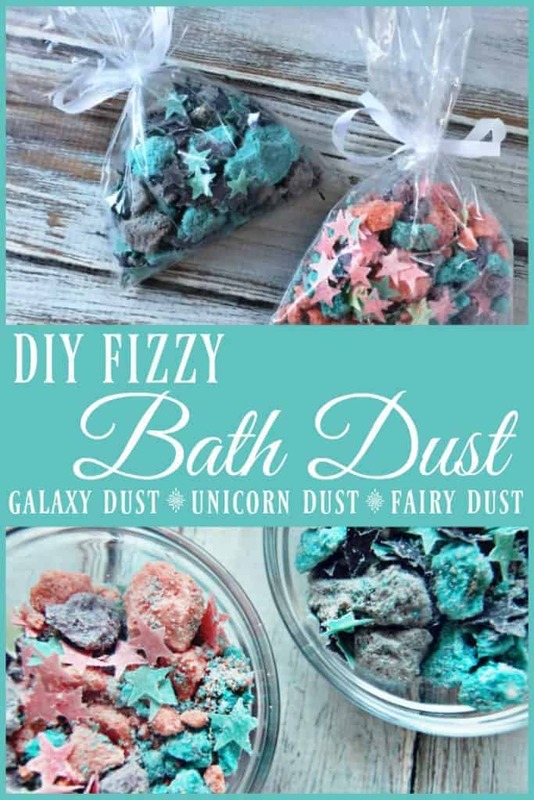 Fizzy Unicorn Dust or Fizzy Galaxy Dust or Fizzy Fairy Dust (you can really name it whatever you want or just go with plain jane Fizzy Bath Dust but personally Unicorn, Galaxy, and Fairy dust are the favorites). 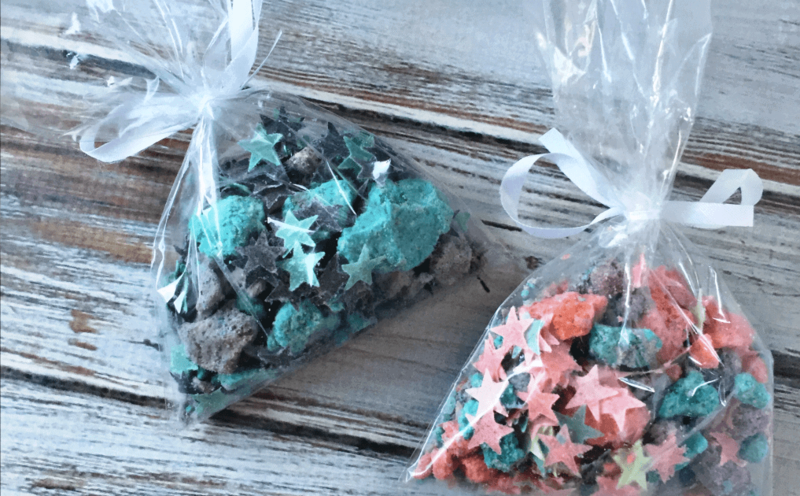 This DIY Fizzy Bath Dust is basically crumbled bath bombs with a dash of bath confetti. 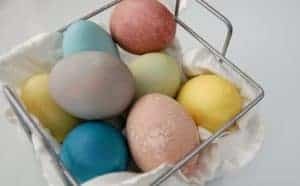 It’s a two part recipe because you need to make the bath fizzies and the bath confetti but they are both very easy recipes to make. 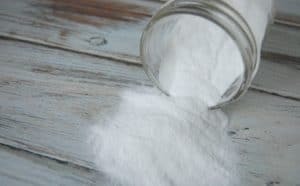 You can make a lovely giant mason jar of this stuff to keep in your kids’ bathroom or portion out into small jars or bags and it makes a great gift (I love tacking them on to kids’ presents). I am always careful to make sure that any products we use are all natural (especially if kids will be using them) and this Fizzy Bath Dust is no different! 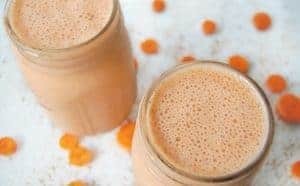 This recipe uses no scents (although you could add a few safe essential oils) and only all natural dyes. Whisk all dry ingredients in a bowl. 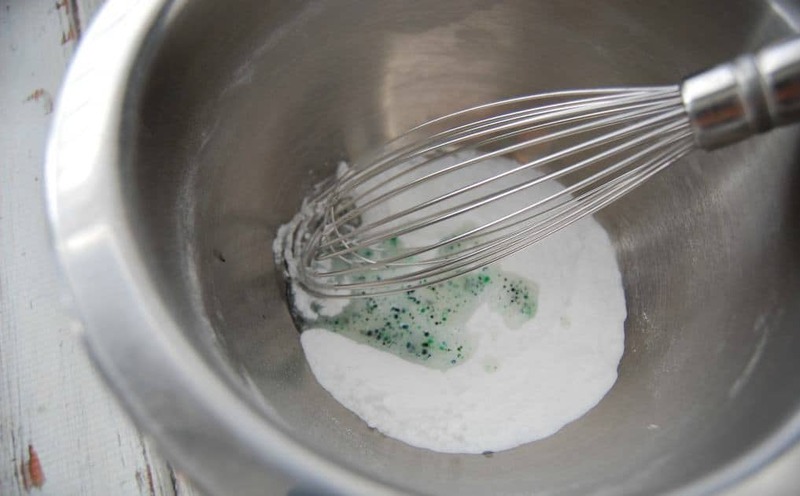 In a separate small bowl, mix coconut oil and food dye as well as you can. Add liquids to the dry ingredients and mix well. You want to be able to mold your mixture in your hand but it still should be more dry than wet. If you need a bit more moisture, spray water onto mixture on spritz at a time till moldable consistency. Mold mixture in your hand by making a fist (wearing rubber gloves is advised). Place bath dust clumps in a bowl to dry. Allow to dry for 24 hours before breaking down any large pieces. In a small bowl, mix a couple tablespoons of castile soap with a drop or two of natural dye. (if doing more colors, use multiple bowls) – Psst, I used activated charcoal for the black stars! Cut dissolving paper into smaller pieces if making multiple colors. 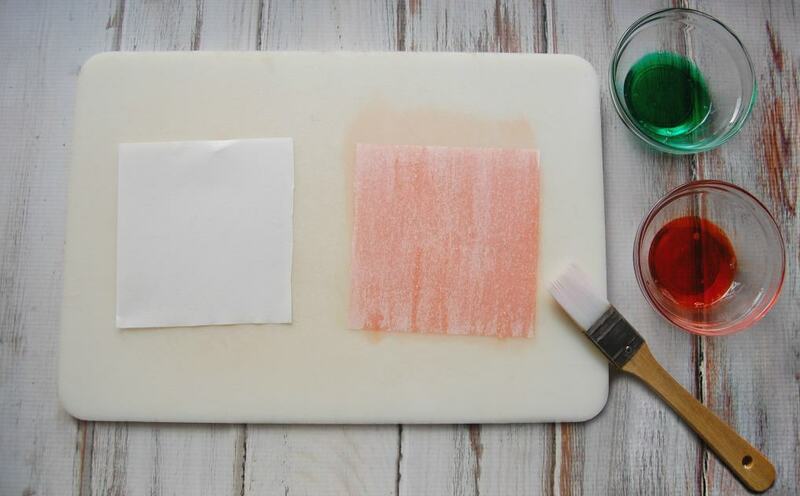 Paint your paper sheets with the dyed soap on both sides of the paper. You only need a thin coat. Place the soap paper on a cooling rack to dry for a few hours. Once dry, use a star hole punch to cut out your bath confetti. 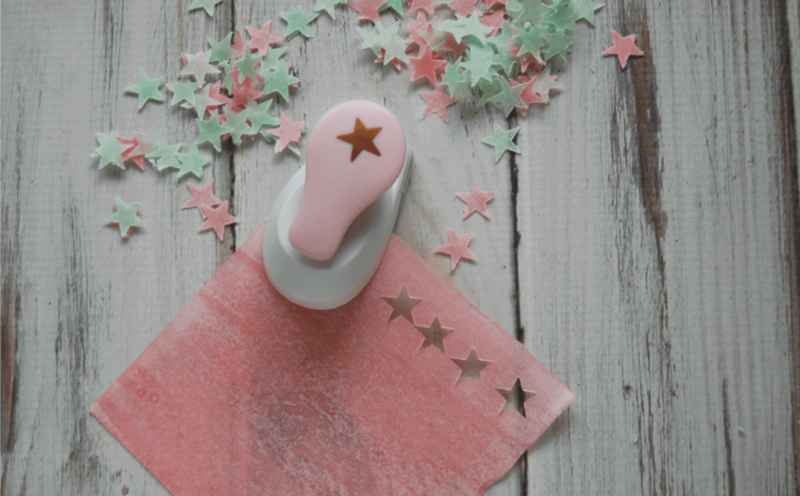 If you want a full visual on how the bath confetti process works, check out my Christmas bath confetti post. 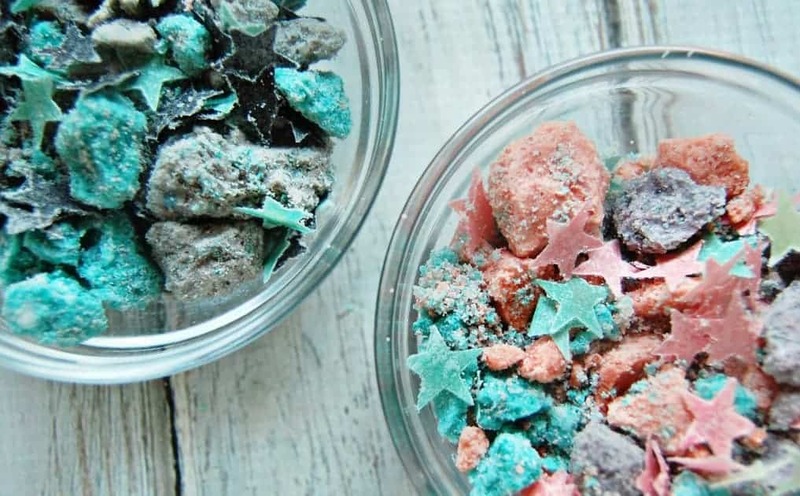 In container of your choice, add Fizzy Bath Dust (multiple colors for best appearance) and bath confetti. No real amount recommendations just add as much as you want.